Juliana Deguis Pierre was born in 1984 in Los Jovillos, Dominican Republic, 72 miles (116 kilometers) west of Santo Domingo. 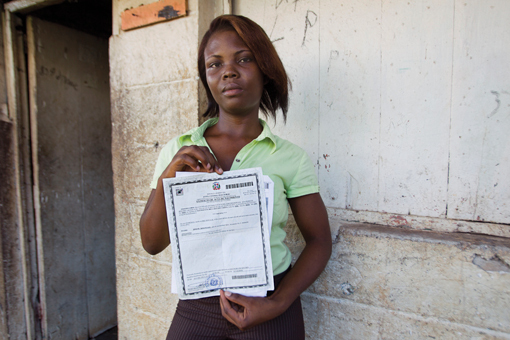 Under the country’s constitutional recognition of birthright citizenship, Deguis—the daughter of two undocumented Haitian immigrants working in the sugar cane fields—was issued a birth certificate recognizing her Dominican nationality. Now 29 years old, she has never traveled outside her native country. She speaks fluent Spanish and hardly any Creole.